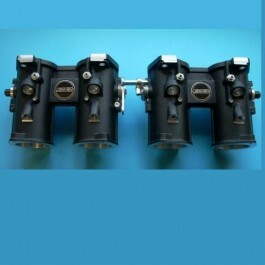 Direct replacement for Weber DCOE and Dellorto DHRLA carburettors. 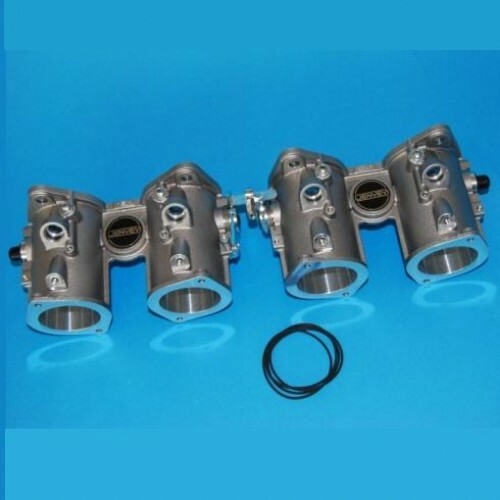 Perfect for Fuel Injection conversions. Finished in crackle black. 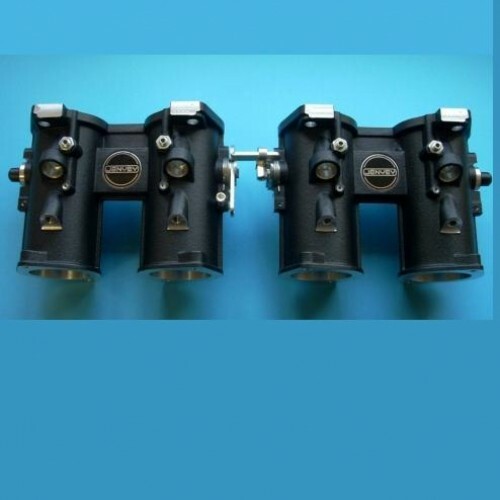 Supplied with adjustable interconnecting link, inlet 'o' rings (for manifold face) and injector bungs. High quality with genuine performance gains. Note: Fuel rails and linkage kits are sold separate.